Drunk driving is a huge problem in Texas. In 2017, 28%of all traffic fatalities were alcohol related, resulting in 1,024 deaths. This makes Texas one of the worst states in the nation for drunk driving. The problem is especially bad in the Dallas-Fort Worth Metroplex, where there were 4,908 alcohol related crashes in 2017 resulting in 159 fatalities. This makes DFW the worst area in the state for drunk driving accidents. The nation is cracking down on drunk driving with multiple public awareness campaigns and new laws being introduced to prevent drivers from getting behind the wheel while intoxicated. We at Powers Taylor are committed to doing our part to end the scourge of drunk driving. If you have been injured in an accident caused by a drunk driver, let our highly experienced attorneys represent you. When the drunk driver is arrested he or she will often be charged with a criminal case. The goal of the criminal case is to determine whether the offender is guilty of the drunk driving, but not to compensate the injured party’s damages. With a criminal lawsuit the government is trying to maintain public safety, punish the offender, deter other offenders, and rehabilitate the offender. The goal of a civil case is to answer whether the drunk driver, his/her employer, or the bar that sold the alcohol could be responsible for monetary damages. A civil case can be filed to recover damages for past and future medical bills, pain and suffering, economic losses, scarring, physical impairment, and several other types of compensation. If the drunk driving accident resulted in injuries, the victims of the crash may file a civil case. 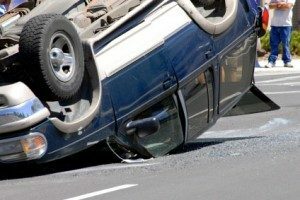 If the drunk driving accident involved a fatality there is a specific type of lawsuit that may be filed: a wrongful death claim. A drunk driving lawsuit can affect many people however, there is a limit on the type of individual that may bring a wrongful death claim. The Texas legislature made the determination that spouses, children, and natural or adoptive parents of the deceased are the only parties that can file a wrongful death claim. These are called the “statutory beneficiaries”. That our client was not responsible for the accident. To prove that the drunk driver was responsible, our attorneys go through a three-step process: an investigation, litigation, and trial or settlement. The investigation is used to gather all the facts relevant to the case. We will often start with the police report and then use the information they have gathered to tell us what we should look into further. This could include talking to witnesses to get a better understanding of what happened or visiting the scene of the accident. Litigation begins after the initial investigation is complete and we have identified the drunk driver. A lawsuit is filled with the court demanding monetary damages. We will require the defendant to specify his or her version of events: when he or she was drinking, where he or she was drinking, what he or she drank, and what he or she says happened. During this process we can require the defendant to hand over evidence such as credit card statements to prove they were intoxicated. Settlement starts after we have collected all the evidence relevant to the case. We can then demand that the drunk driver’s insurance compensate our client. Settlement is a formal process where each side will discuss the facts of the case and try to decide on a “value” for the damages. If both sides cannot agree on a settlement offer before trial, the case will go to court before a jury. While the drunk driver may have caused the accident, oftentimes he or she was supplied with alcohol by someone else. Two of the most common defendants in drunk driving lawsuits are bars and restaurants. However, there are many other alcohol providers that are regulated by the Texas Alcoholic Beverage Commission’s Dram Shop Act that can be held responsible for over-serving, such as stadiums. For more information visit our page on Dram Shop cases. Another common example of an alcohol provider is a social host. A social host is a person who provides alcohol at a social gathering, usually at their home. If a host is serving adult guests over the age of 18, there is no liability for intoxication, and the guest is responsible for their own actions. However, if teenagers are present the host has a legal obligation to make sure that no alcohol is made available to minor guests. If an adult is present and allows a minor to be served alcohol, they are then responsible for anything the minor may do while under the influence. This rule still applies even if the adult is not present but knew the circumstances. Often times drunk driving accidents cause more than just physical damage. While you have the right to seek the above damages, they are not guaranteed. Your lawyer has to be able to prove that you are entitled to every dollar you ask for. This process requires an attorney that has experience with drunk driving cases and will be able to present the required evidence. Drunk driving cases are difficult for those involved. At Powers Taylor, we pride ourselves on putting our clients first and fighting to get them the justice and compensation they deserve. We are experienced with drunk driving cases and have been successful with attaining generous settlements on behalf of our clients. Allow the attorneys at Powers Taylor to give you a voice and fight on your behalf. Contact the experienced attorneys at Powers Taylor today for a free consultation. All calls are kept confidential.